Here at Little Lifts we absolutely love a stripe. 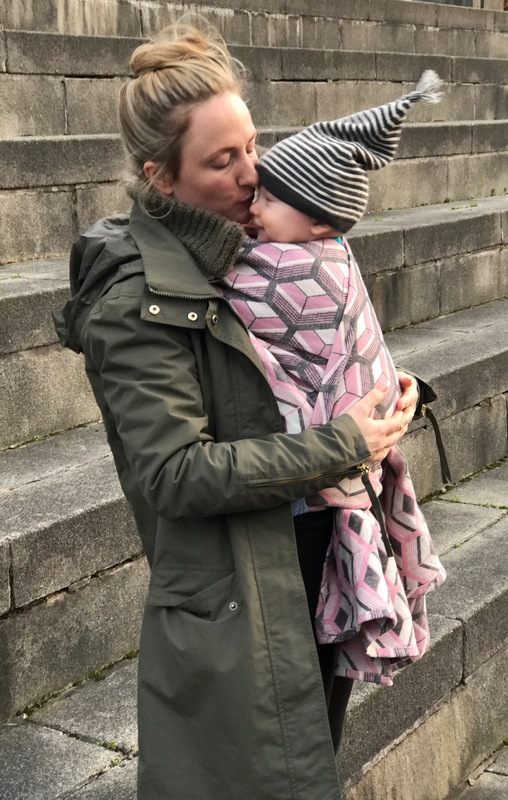 The very first time I wrapped Cass I used a striped woven wrap. 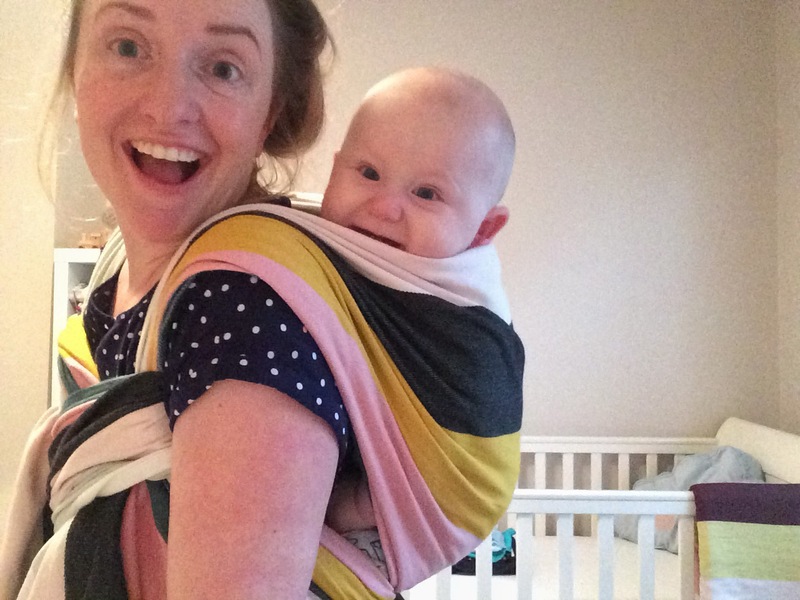 The beauty of striped wraps is the way in which they help you to wrap and tighten your carry. The stripes help you identify the different parts of the Wrap that you are working with. Not only do we love stripes, we also love cotton. For me cotton wraps, in all their forms, just provide me with peace of mind. Small babies are messy little creatures and with a cotton wrap I know that it can easily be washed. Cotton is versatile and can be woven to create many different textures and qualities. Girasol are a company that I admire and have interested me since the very beginning of my baby wearing journey. 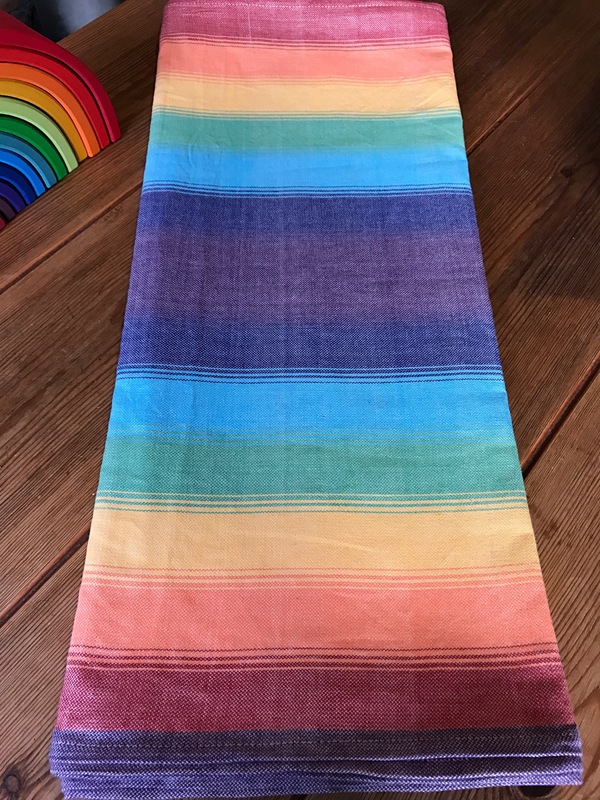 They are a fair trade company and their wraps are hand woven in Guatemala by master artisans. Girasol preserve the traditional weaving methods of the Maya Indians whilst benefitting the local community. 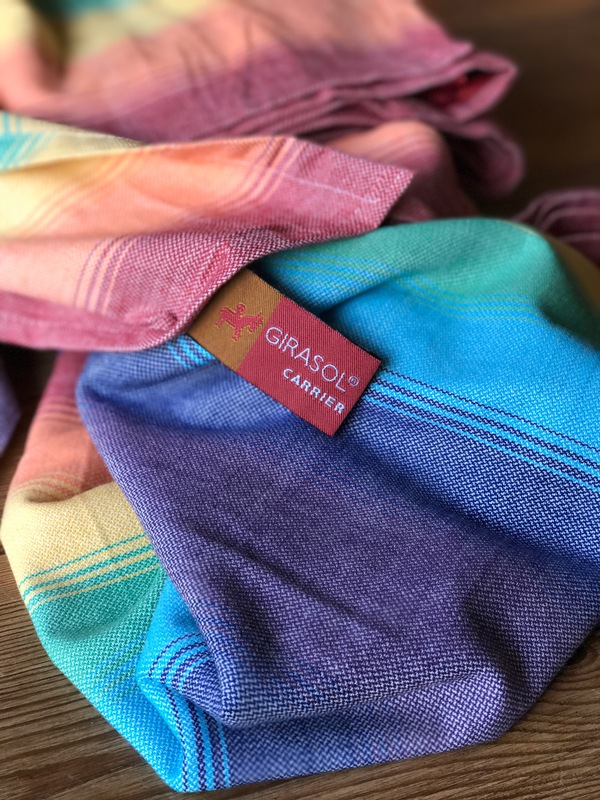 Not only is Girasol an ethical, fair trade company, they also produce a fabulous, cotton stripe. 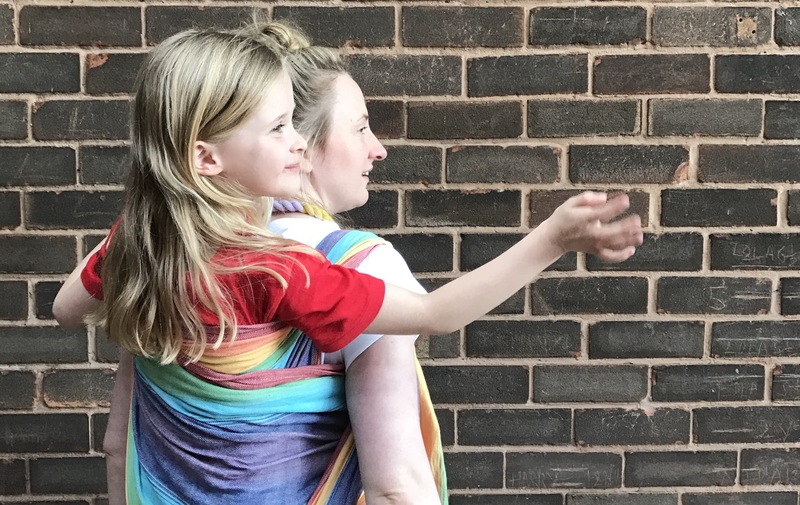 Girasol are the creators of some of the best stripes in the Baby Wearing World. It has taken me nearly nine months to find the perfect Girasol, many have been borrowed and I even owned one for about 24hours but nothing was quite right. Until now. 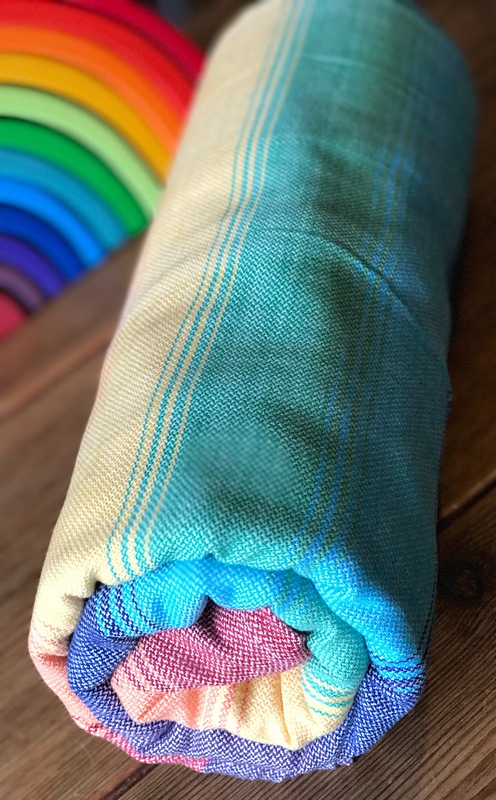 Girasol Reflection was designed by Helen at Monkey Mei Tai, it features a beautiful seven colour rainbow, with a purple flash down one rail to make wrapping and tightening easier. 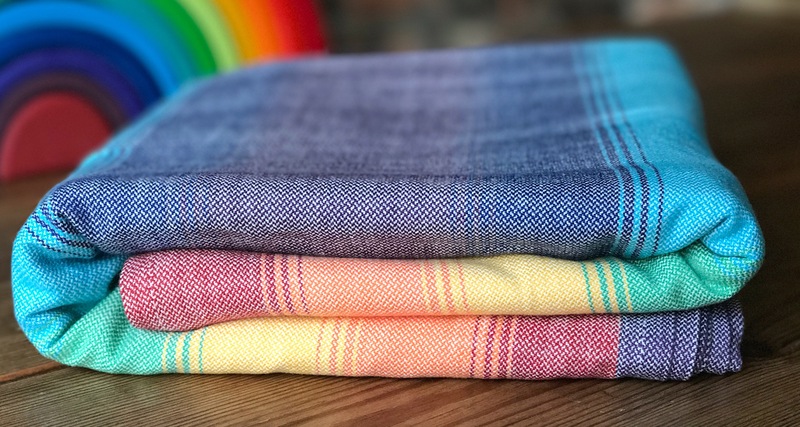 Reflection is a 100% cotton, twill weave beauty of a wrap. Two variations of the wrap have been woven, a crema (cream) weft and a cuervo (black) weft. The colours of reflection are outstanding, it glows and gave me instant joy. 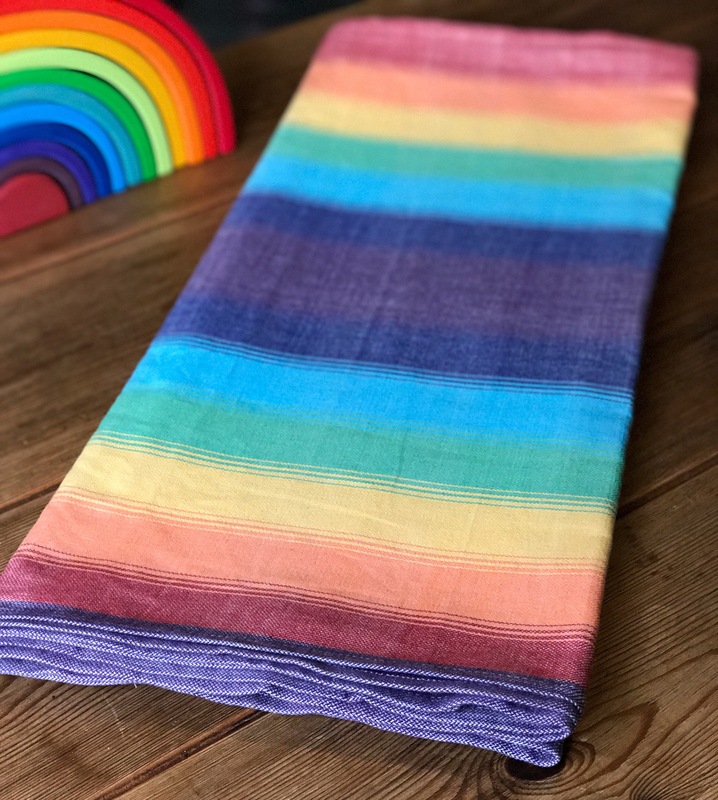 The rainbow is playful and bright, perfect for the Summer but also cheery on a dull day. The wrap is very light weight and feels soft and ready to go after just one wash. Initially I was concerned that it would struggle to hold the weight of my chunky boy, but I was instantly proven wrong. Reflection glides easily into place and holds well, I was blown away by the wrapping qualities and the strength of this wrap. So blown away that I thought I’d put it to the test by carrying my 6 and a half year old niece. 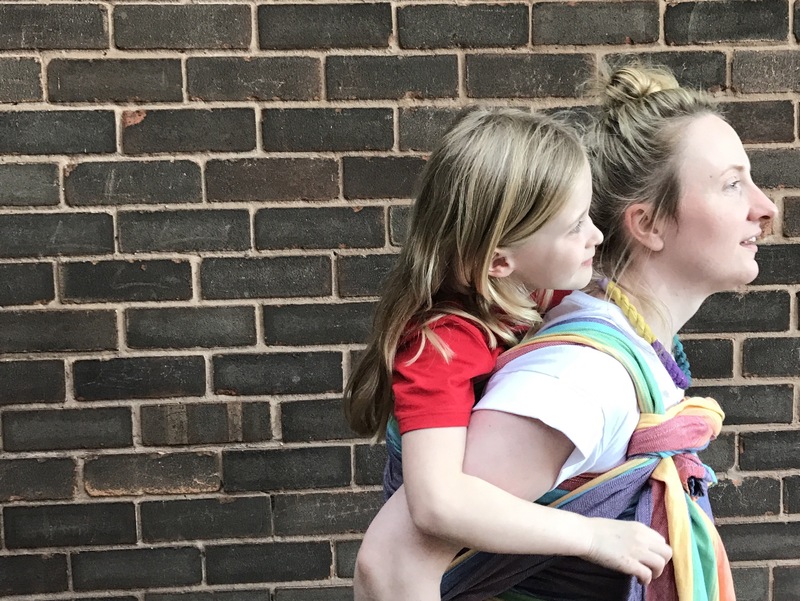 It held her with ease and supported her without any discomfort to my shoulders or back, this is one tough wrap. 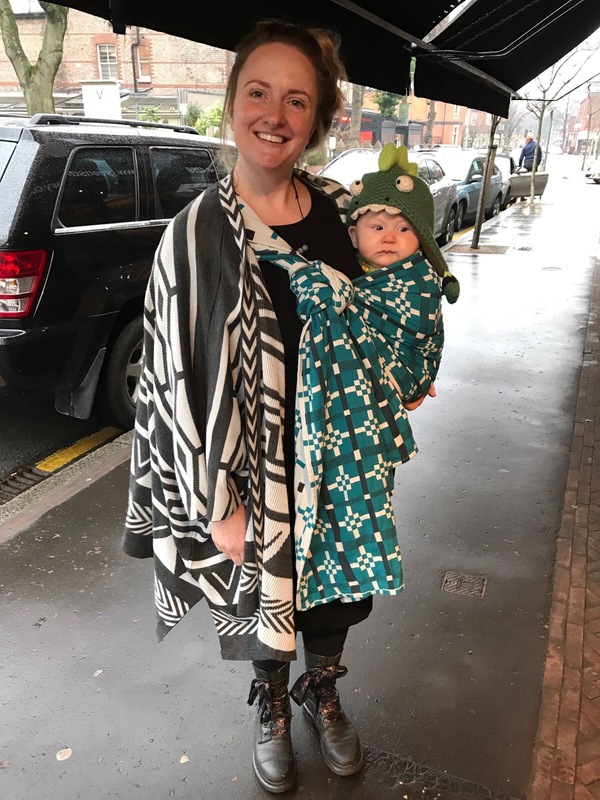 Girasol Reflection is the first woven wrap that has been added to our Little Lifts Library and it is absolutely perfect. The striped design makes Reflection an excellent teaching wrap and is useful when mastering carrying techniques. Thank you to Helen for her beautiful design and thank you to Girasol for your perfect weave. 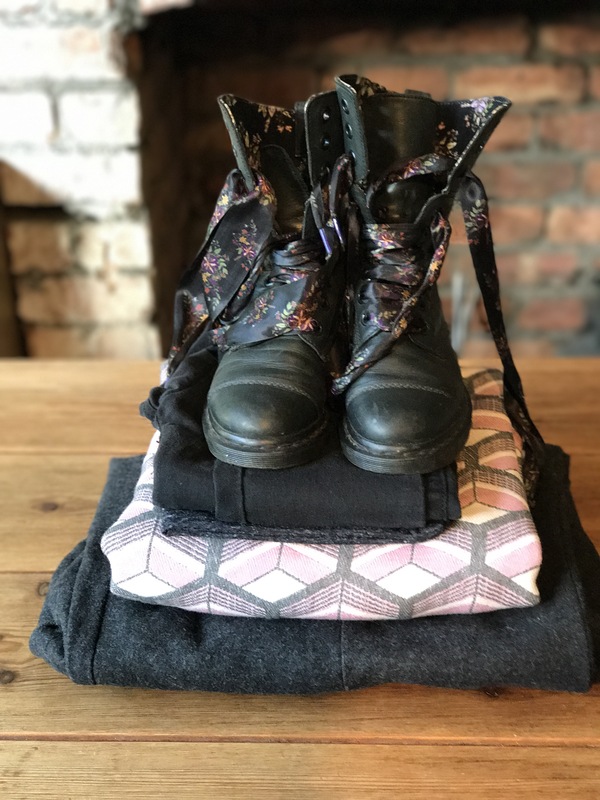 There are so many amazing buckle carriers out there and for me it’s a bit of a minefield. I am very much a buckles novice at the moment, this is just down to personal preference and experience. 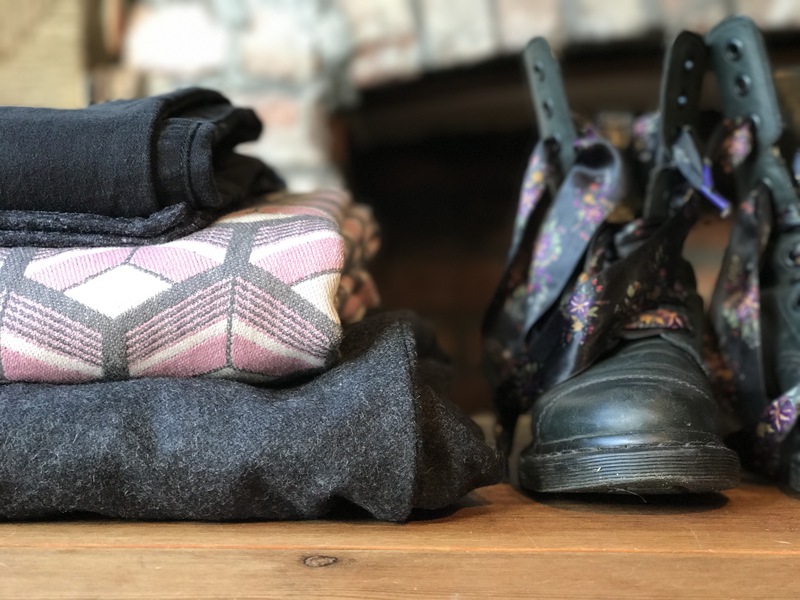 I like woven wraps and they work for me and Cass so why should I bother with buckles? 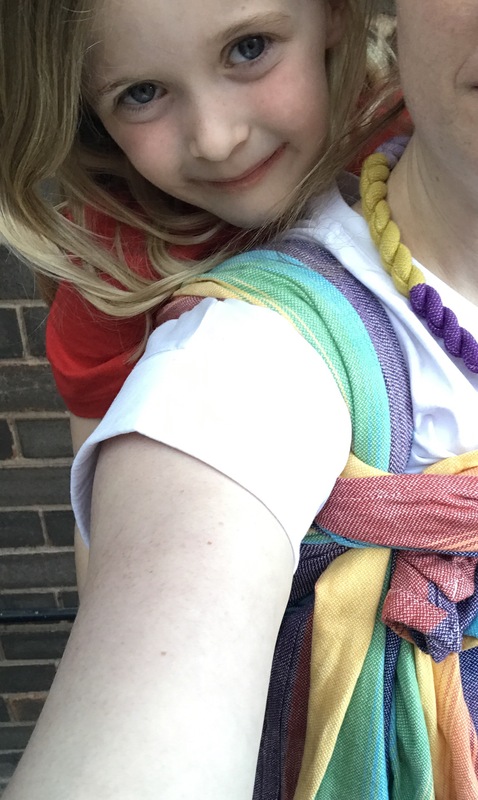 Why, because learning is fun and buckles can be versatile and amazing too! Over the next few weeks follow me as I ‘buck’ my ideas up and review as many buckle carriers as I can get my little hands on. The ergobaby 360 prides itself on it’s ergonomic design, which has been acknowledged by the International Hip Dysplasia Institute as ‘hip healthy.’ It is designed so that your baby is supported and sat in the optimum position, knees higher than bottom and fully supporting the C shape of the spine with no slumping. This instantly gave me confidence and made me want to try the carrier. 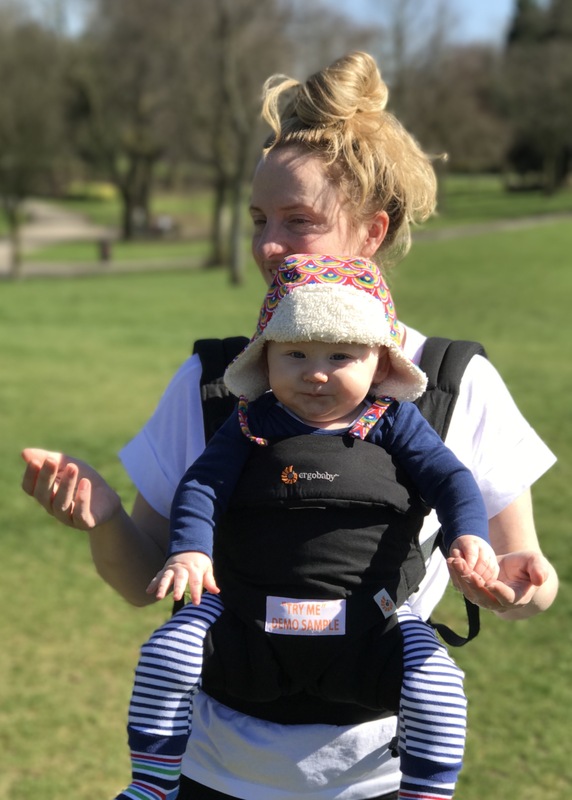 The Ergobaby 360 is a sturdy structured carrier with a padded waistband, it boasts four carrying positions, hip carry, back carry, forward facing front carry and inward facing front carry. 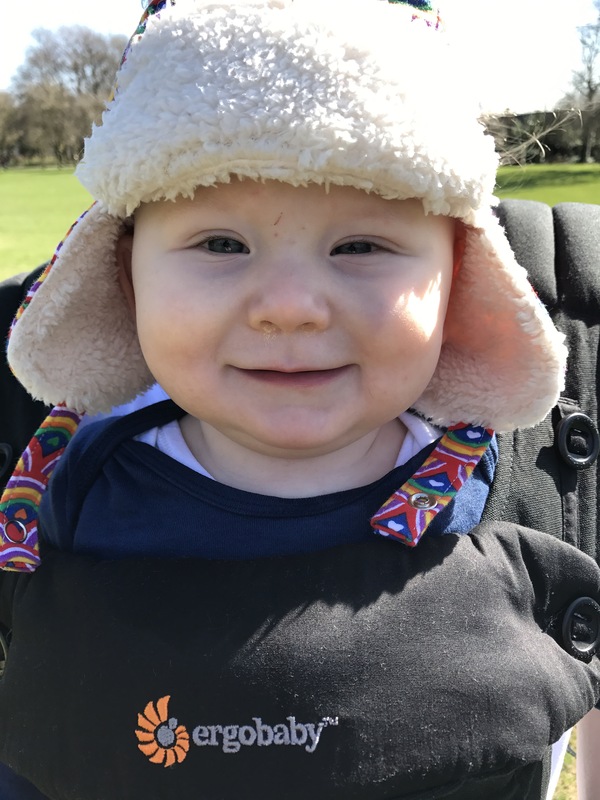 The seat can be adjusted using buttons to make it wider and narrower ensuring that it grows with your baby. There is also a new born insert available which can be bought separately. If I’m honest I was very unsure to how it would support Cass ergonomically in a forward facing front carry, so that’s what we went for first. 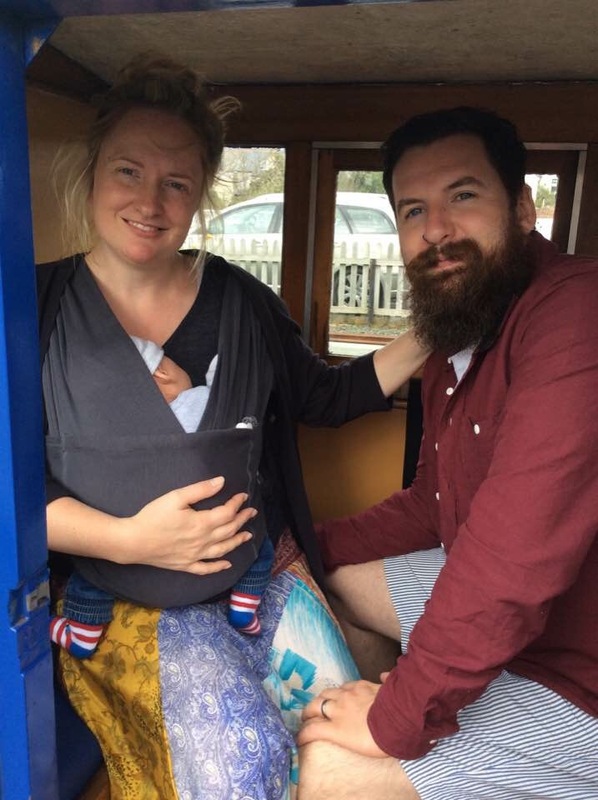 I was pleasantly surprised, the carrier supported him well, his legs and bottom were supported in the correct way and it was very comfortable and easy to put on. Cass absolutely loved facing forwards, he was swinging his legs and laughing the whole time. After 10-15 minutes though I switched to a back carry as I could feel him becoming over stimulated and unable to nod off to sleep. Getting him on my back was a bit more tricky, the straps are quite short as they are tightened at the side rather than on the shoulder strap itself. I needed the assistance of Cass’s Dad for this, which is fine but not if I was on my own. Once I got him on my back I found the carrier quite comfortable, but again I struggled to tighten up the straps and needed assistance. Cass was happy and safe and the carrier did provide him with good support on his spine and bottom. I found carrying him in an inward facing front carry position the most comfortable. He just curled up and went to sleep. The carrier provided fantastic support down his spine and around his head and neck as well as in his bottom and hips. Cass was comfortable, I was comfortable and Cass was asleep. Win. 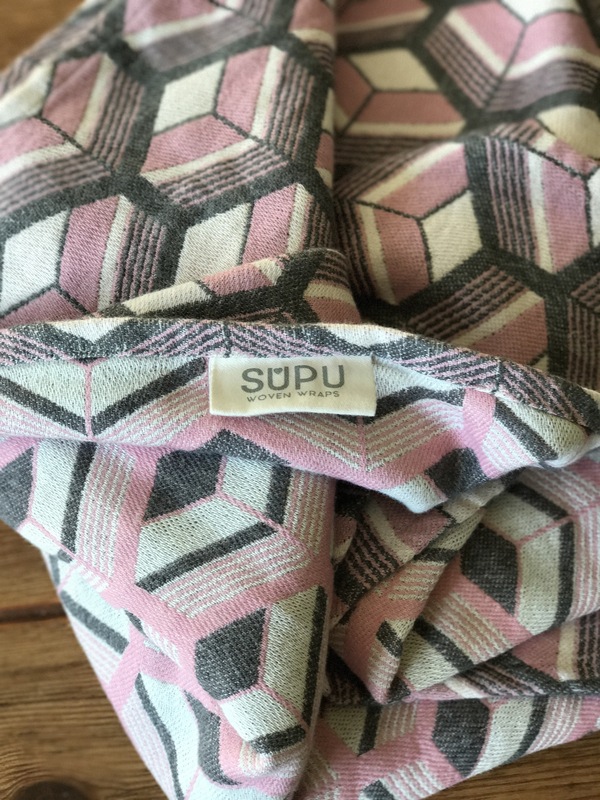 SUPU wraps exploded on to the Baby Wearing scene last year and have been whipping up an absolute storm, no pun intended. Jess’ designs are unique and eye catching, with punchy, vibrant colours and an absolute beast of a weave. The easycare 100% cotton wraps, wrap like no other. The Flight series are lightweight in hand, yet strong and sturdy. They provide a cushiony softness and carry like no other 100% cotton wrap that I’ve tried. North, the NSE exclusive, was Jess’s biggest triumph so far. The grey tones glow and provide a timeless look that contribute to North’s popularity, establishing itself as quite the unicorn already. If you have had the pleasure of meeting Jess you will know that she is a unique soul. 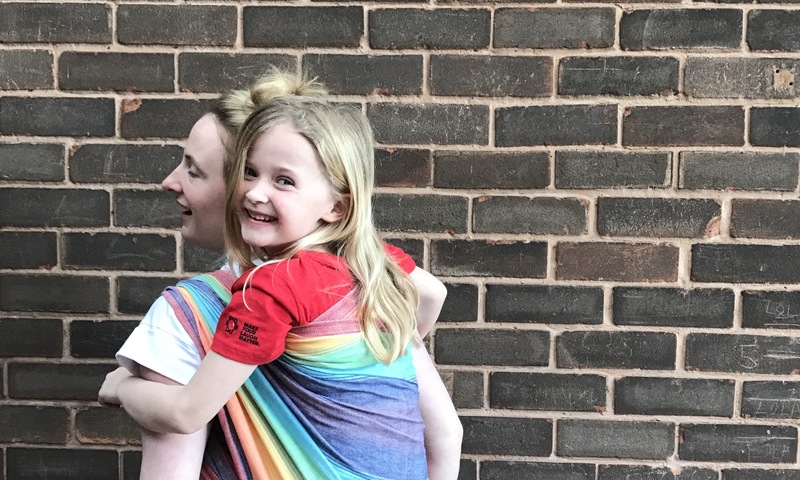 Jess will make time for everyone, adding to the magic of SUPU Wovens. Her customer service and drive to create outstanding quality wraps is fantastic. 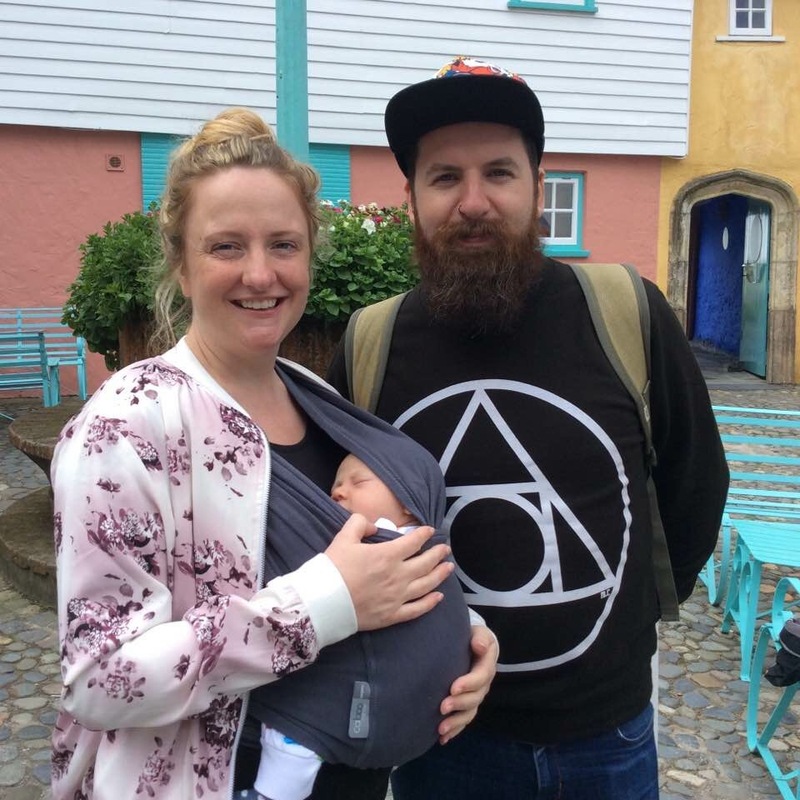 Not only is Jess passionate about baby wearing she is also an amazing designer with a lifetime of experience in textiles and materials. It’s an absolute joy to see a brand with such a personal and friendly ethos. Myself and Cass were given the chance to trial Helix Arca just before this year’s NSE. When Arca arrived I was pleasantly surprised at the cushiony wonderfulness of this 100% cotton, double weave wrap. Helix feels marshmallowy and quite thick in hand, like a medium weight wrap that would soften over time and use. The weave seems quite loose compared with other wraps that I have worn in the past and feels silky soft. 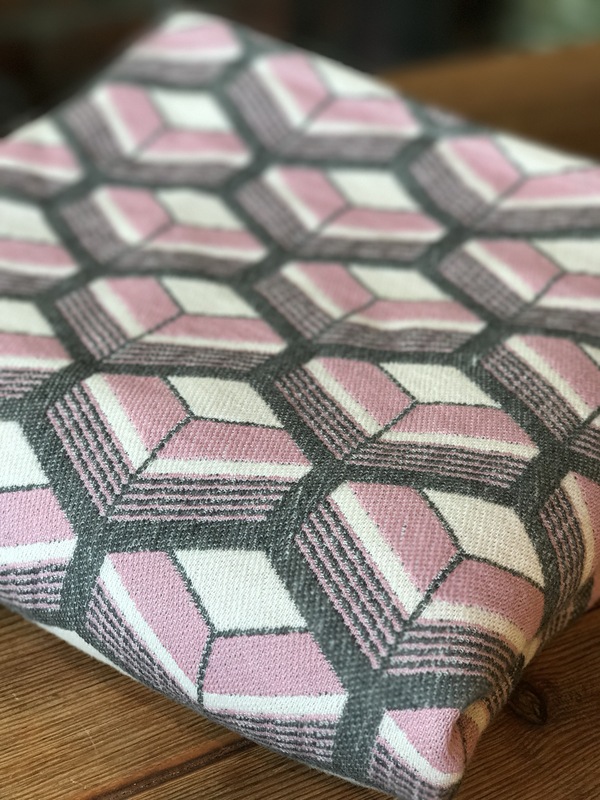 The dusky pink and pencil grey compliment each other perfectly. I am a big lover of pink but I know it’s not a colour that I can always make work. 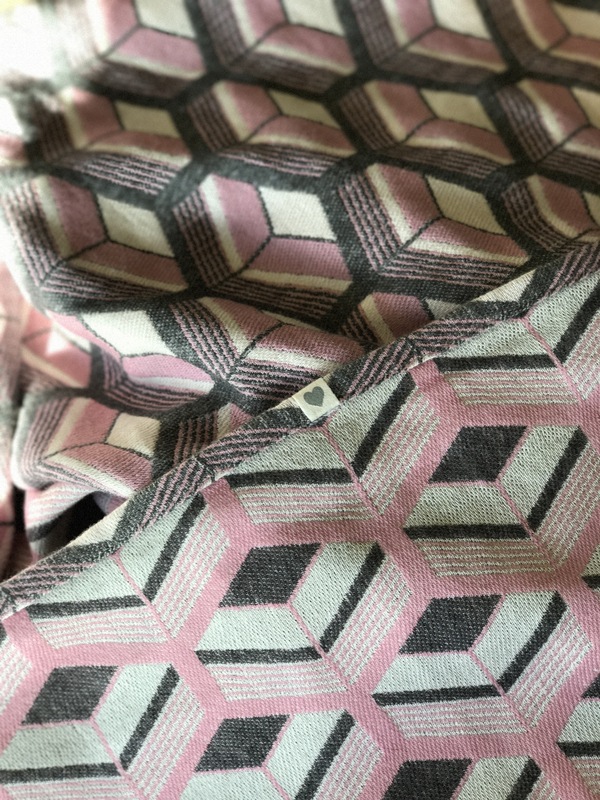 Arca’s pink is beautifully muted and subtle, this wrap is ‘just enough’ pink, it’s perfect. Both sides are beautiful, I love how Arca changes it’s character with each side. The bold, striking, pencil grey dominates the ‘right side,’ where as the blush pink and white provide a calming ‘wrong side’ alternative. The wrapping qualities of Arca do not disappoint. It glides into place and holds strong. 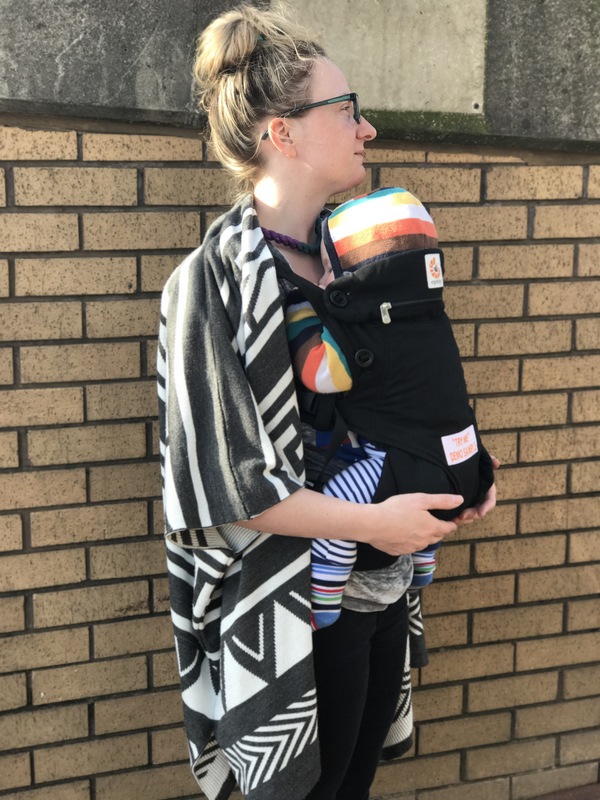 I have tried a range of different carries with Arca but I think the four hour Double Hammock with my two stone baby, showed me how fantastically strong and comfortable this wrap really is. I can honestly say that we have thoroughly enjoyed having Arca here to stay for a few days. Helix is a beautiful weave and I am genuinely excited for it’s release and the future of SUPU Wovens. Thank you Jess for this opportunity. Good Morning, we are all very excited here at Little Lifts HQ, lots of new arrivals are starting to make their way into our small, but thoughtful sling library ready for the big launch in July. Over the next few days I will be reviewing all of the new products that come into the library so you can see what Little Lifts has on offer. If there is anything that you would like to see please drop us an email and we’ll see what we can do. We also have a couple of surprise visiting carriers that are around for a few days so I will be sure to fill you in on how we get on. This morning we are heading out to Salford Quays for a photo shoot for a very special new release, baby Cass has been preparing himself with a super long nap and I’ve been hitting the tea, hard! We will be sure to catch up with the details over the weekend. For now I will leave you with a beautiful new addition that landed only yesterday from the wonderful Helen at Monkey Mei Tai, review to follow.